We would like to invite you and your family and friends to our Open Day on Easter Saturday, the 20th of April 2019. Since 1647 our family is based in Lemwerder. Ten years ago, we celebrated our new indoor arena and stables with an open day on Easter Saturday. Since then, not only breeders and horse lovers, but also families and many locals are very happy about this beautiful event. 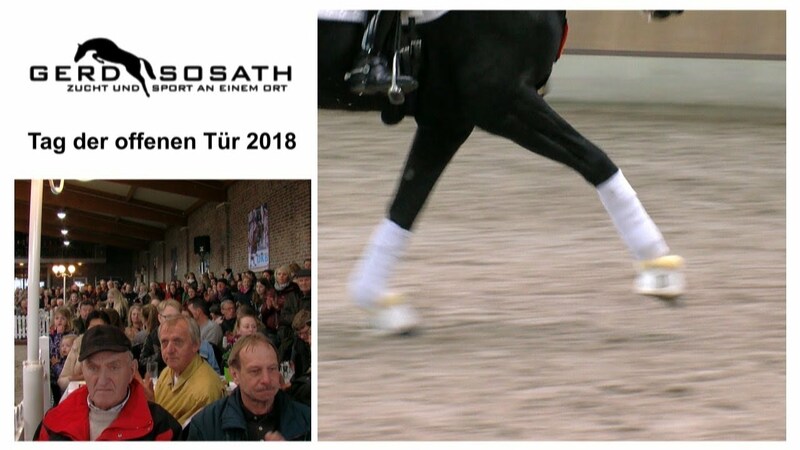 After that, the vaulting group of the Sturmvogel Berne present their skills on a horseback, Annika Markgraf and her pony Joschi will attend magic school and there will be a fast demonstration of games with ponies. A team dressage freestyle will be shown by the riding club of RV Stollhamm. For the fourth time, we will host a competition in cooperation with the “Reiterverband Oldenburg” this spring. As well as young jumping and dressage horse competitions, the qualification for the Oldenburg Junior-Championships and the talent-scouting supported by the "Reiterverband Oldenburg" will be held at our stud. The 1.40m class on Saturday evening will be the highlight of the weekend. The young jumping horses will compete on Friday. 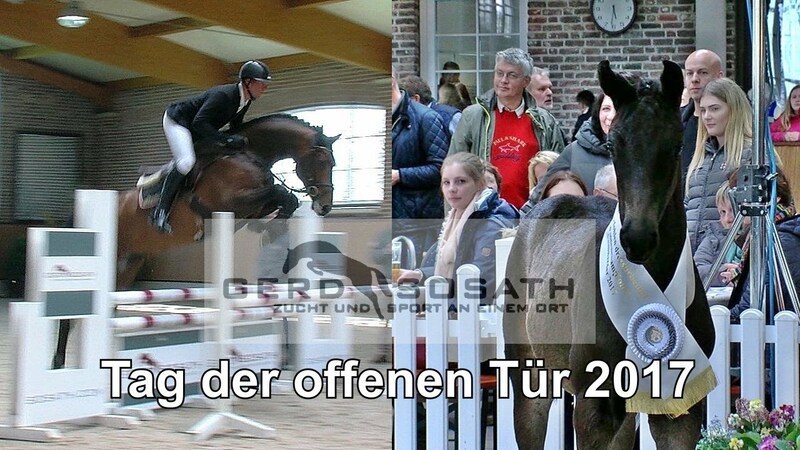 Oldenburg riders of all age-groups will compete their youngsters in 1.10 m to 1.30 m classes. 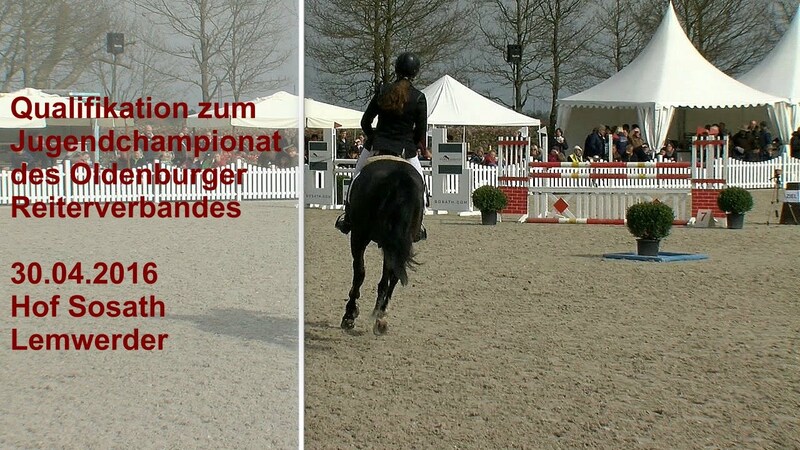 Top riders such as the Olympic champion Sandra Auffarth will will ride their talented young horses. Also, the Team Sosath will present numerous top youngsters. On Saturday, six and seven-year-old horses will start in youngster classes on M-level and Oldenburg riders will start in a 1.35 jumping class. The highlight of the day will be a 1.40m jumping class. On Saturday and Sunday, the qualifications for the Oldenburger Junior-Championships and for the talent-scouting take place. The Junior-Championships will include a combined tournament of a small dressage class and a 1.00 m jumping test, a novice dressage competition and a 1.10 m jumping. The riders are 16 years and younger, 30 pairs will compete at Rastede. The talent-scouting is made for riders who are 18 years and younger. They will do a 1.20 m jumping and an elementary dressage test. The twelve best pairs are qualified for the final at Rastede. On Tuesday, it is time for the young dressage horses. There will be classes from novice up to medium level for the youngsters.